There are many ways to support Veritas Academy with your time, talents, prayers, and resources. 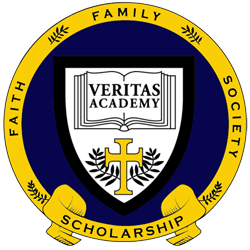 In addition to our commitment to make Veritas Academy the best value in Classical Christian education in central Ohio, we seek to provide for the financial needs of the school through means that are practical and not burdensome to our families and supporters. Throughout the year, Veritas offers a number of fundraising opportunities that are practical and helpful to our supporters, such as a silent auction in the fall and flower and mulch sales in the spring. The easiest way to support Veritas is through the way you live your daily life. We call this “Giving through Living.” Every time you shop, Veritas receives support! 1. Visit the Kroger Community Rewards. 2. Select “Ohio” and create and account. 3. Connect the account to “Veritas Christian School” using organization number 81189. 2. Select “Veritas Academy, Worthington” as your charity of choice. 3. Shop for books, music, or any of the millions of other items offered. 1. Visit the Veritas Bookstore. 2. Shop for educational materials.